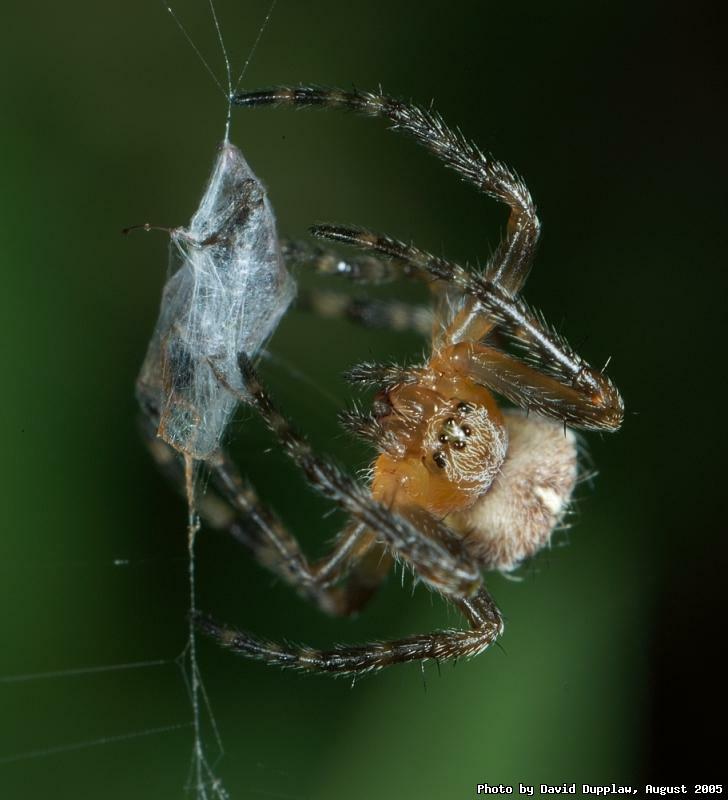 Out and about again with my new flash today and spotted this small spider wrapping up its food. It was pretty small, probably only a couple of centimeters across, and is almost certainly one of the many varieties of Orb Web spiders. I find it amazing to see how this spider was twisting the three strands of webbing you can see at the top of the frame to engulf its unlucky feast.